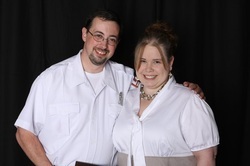 Welcome to our About Us page! Here you can see all of the behind-the-scenes work that goes and the people who contribute to make Bailee's Beauties great! I am Bailee, the main person behind Bailee's Beauties. I do about 90% of the work that goes into Bailee's Beauties. I am 14 years old and began Bailee's Beauties about 3 years ago. This year I will be going into high school as a Freshman. I am answering emails and updating the website. I made the website myself at the age of 11 and continue to update every few days. All emails and schedualing are answered and done by me I also decide on bringing in new piggies, pairing cavies who will produce excellant offspring and ensuring that our pedigree is up-to-date. I cannot simply say what it means to me to care for and raise all of my cavies. Raising skinny pigs has been an experience like no other and I wouldn't trade them for the world. The amount of amazing people I have met and how much I have learned from this experience in unreal! Despite the amount of hard work and non-stop business, watching my babies grow, learn and eventually go to loving families makes this the most rewarding hobby I could ever have dreamed of. My guinea pigs mean the world to me and I hope to continue my wonderful hobby for many years to come. 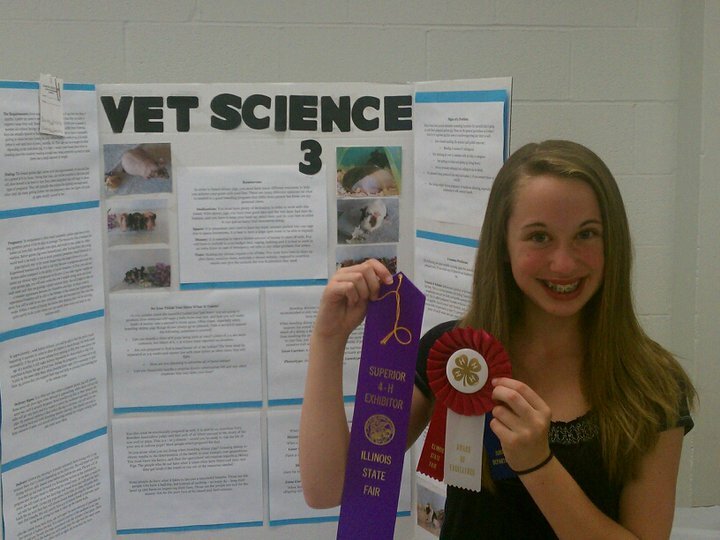 Last year I tried my hand at 4-H and it was a wonderful experience! 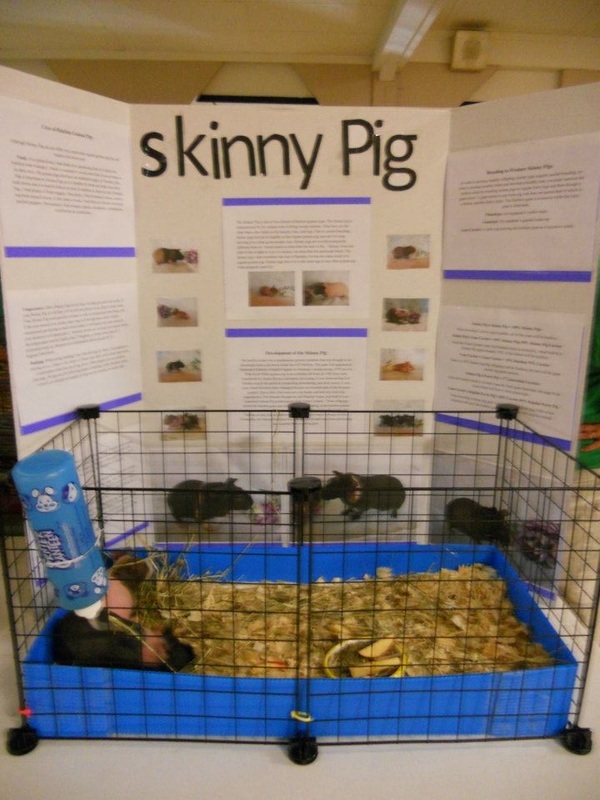 I showed two skinny pigs and two long-haired silkies who I was breeding at the time. Many people stopped and asked tons of questions about them! I met many new people and judges several of whom I still talk to on a weekly basis. 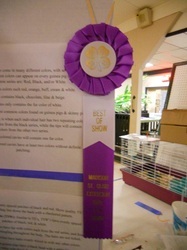 I won Best In Show for Small Pets because they could not go to the IL State Fair due to the heat. 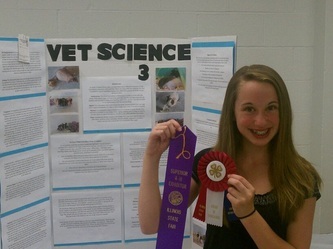 My Vet Science 3 project had tons of info on caring/breeding skinnies was elgible for state. I left the State Fair on August 15th, 2011 with a smile on my face and a superier ribbon in my arms. Needless to say, it was a wonderful experience! Brooke and Lilly are my two best friends! They both absolutely adore all of the pigs, skinny or furry. When they come over they don't mind helping out whether it's feeding, watering or even running upstairs at 2 am to check on the pregnant moms (which they've both volunteered to do many times!). These two are always there for me no matter what! I could never find two better friends who stick with me through think and thin. Jodie & Bill are my fantastic parents! They have, and continue to fully support me with the piggies. My parents have encouraged me all throughout the years. They continue to drive me everywhere to meet, pick up piggies (they even drove 12 hours to Ohio once!) and to get feed and hay. I could not have gotten this far without them! Logan & Connor are my two younger brothers. Logan helps give each and every piggie kibble twice a day. Connor helps fill up water bottles once every few days. 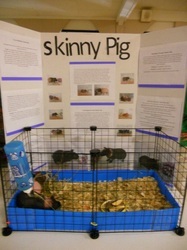 They are also important when it comes to the socialization of our piggies, especially with younger children. Due to Logan & Connor's help with handling each of the piggies, our cavies are much more personable and loving. Nancy & Dean, also known as "Mama" and "Papa" are my amazing grandparents! Whether is is driving me hundreds of miles to drop off or pick up pigs, driving me to the feed store and back or growing the piggie's fresh food, they are always the best to ask! They are always coming to hold babies or feed them the fresh picked veggies they grow. In addition to everything else they are always happy to piggy-sit if I'm gone. I could not ask for better grandparents!